First Year Representatives are responsible for reaching out to first year students across the Faculty. Their primary goal is to serve as a point of contact to first year students for academic-related concerns, as well as to organize events that allow students to get involved and be aware of the resources available to them. This year, SCOLAPS has created a First year Taskforce, comprised of 4-5 first year students. The primary task of this group is to organize and execute initiatives/events that cater specifically to first year students within LA&PS. Patricia Cobarrubias is a first-year undergraduate student studying Public Administration. She is strongly passionate about student governance, engagement, and leadership. Driven by values of optimism and open-mindedness, Patricia is dedicated to making a difference in her new environment at York University. Prior to starting her journey as a first-year university student, Patricia was an active leader throughout her high school career. 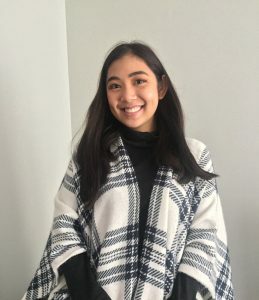 She previously served as a Student Director for the TCDSB’s Catholic Student Leadership Impact Team, Student Director for the Angel Foundation for Learning, Student Council Vice President, and participated in her high school’s Leadership Team. Patricia is honored to have been given the opportunity to serve the LA&PS students as a First-Year Representative and looks forward to the journey York University has ahead of her. Fun Fact: Patricia loves travelling and learning about different cultures. 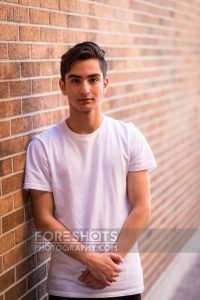 Arshia Seifollahi is currently in his first year here at york majoring in Political Science. He is an extremely social person that loves to communicate and develop fantastic events for the students of the liberal arts to enjoy. In his past years, Arshia has been a part of his high school's student council serving as the position of the President and also he took part in the TDSB super-council to help them organize and run specific events. He is very passionate and determined to represent the first years in the liberal arts program at York and make sure their voices and concerns are heard. He is most excited to work with the SCOLAPS team alongside the executives and the committees to give that extra helping hand and bring fresh ideas to the council. Arshia is excited to further enhance his leadership skills by working closely with the core executives of SCOLAPS as he is sure they will be great mentors for him and other first years. Arshia aspires to one day work in the government investigation fields. Fun fact: Arshia is also a part-time actor in Toronto and wants to pursue his dream alongside everything else he is doing.